The company has also updated videos, and will now have autoplay sound in the News Feed, picture-in-picture mode, and improved vertical video viewing. Facebook has confirmed that it will soon roll out a Video app for TVs. The company said that the new app will initially be available for the Apple TV, Amazon Fire TV and Samsung Smart TV, with more platforms to be added later. Earlier this month, a report by the Wall Street Journal stated that Facebook was working on a video-centric app for TVs. It noted that the company was in discussion with media companies to license long-form programming. However, Facebook did not mention anything about any shows being exclusive to the app. Previous reports have also hinted that Facebook has been in talks with music labels, artists, publishers and industry executives to allow users employ copyright music in their videos, and share the revenue generated with the social media giant. Alongside announcing the new app, Facebook also announced a number of new updates to videos. The company says that videos in the News Feed will now have sound on autoplay. Currently, the videos are played silently, and users have to tap the video in order to hear sound. With the new update, the audio will fade in and out as the user scrolls through the News Feed. If the phone is on silent, the videos will not feature any sound. Further, users will be able to disable the feature by accessing settings. The update will also bring picture-in-picture mode for videos. This will allow users to continue watching a video, while simultaneously browsing through their News Feed. The video can be dragged to any corner of the screen. 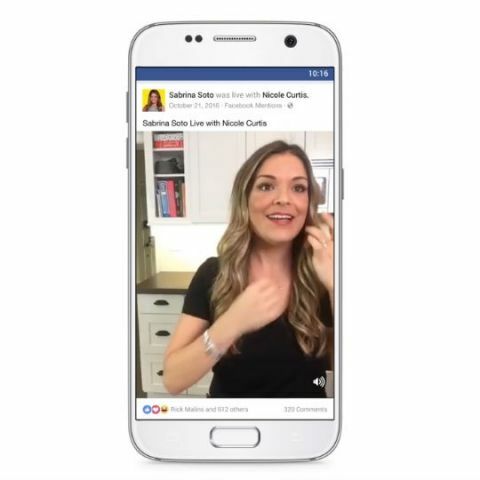 On Android devices, users can keep the video playing even after exiting the Facebook app. Further, Facebook said that that the News Feed will now show a larger preview of vertical videos. When the Moto G5s Plus review will be out?